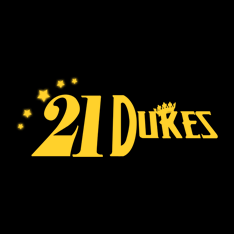 Players at 21 Dukes Casino can enjoy a 200% bonus on their first deposit. 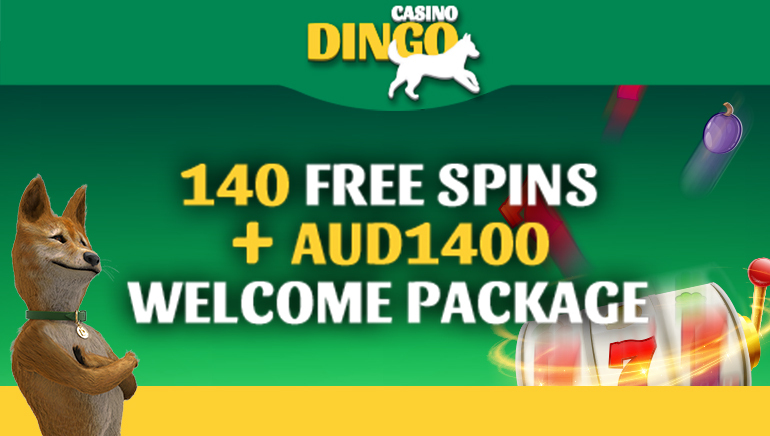 This promotional offer is applicable to all new players registering and depositing at the casino. Deposit $100 and play with $300 at 21 Dukes Casino! 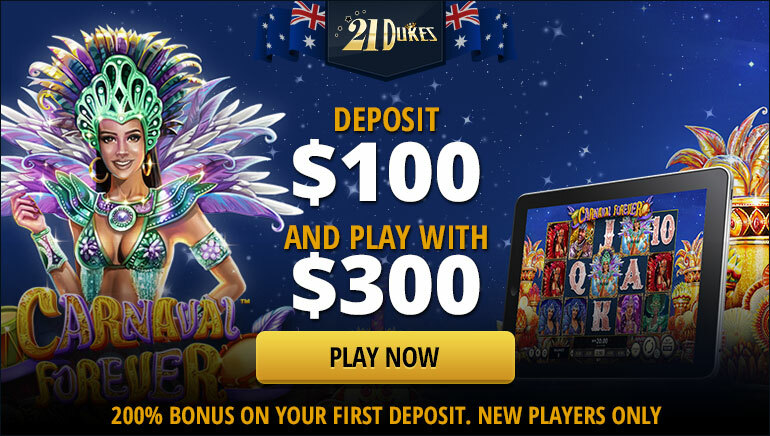 21 Dukes Casino is currently offering Australian players a generous first deposit offer: deposit $100 and play with $300. 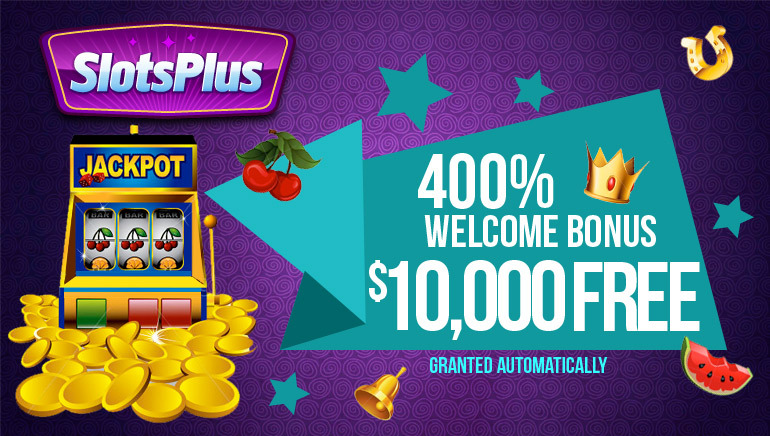 This welcome package is part of a series of promotional offers available to players. The new player welcome package requires a minimum deposit to be made. 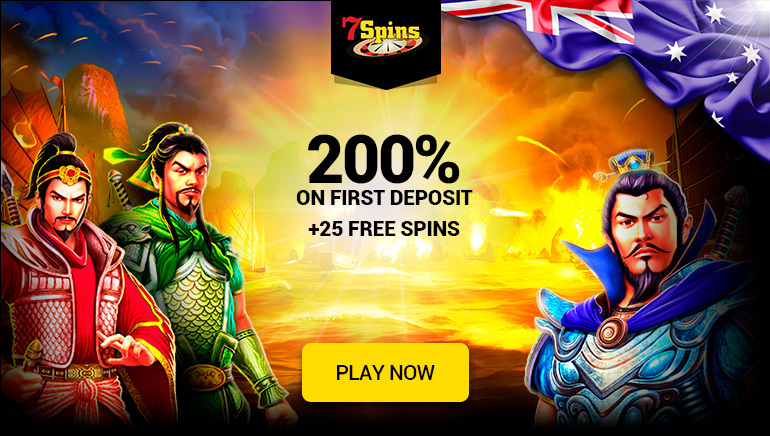 According to the conditions of the promotional offer, players meet the minimum deposit amount as indicated at the cashier. The playthrough requirements state that players must wager 35 x the deposit amount and 35 x the bonus amount to withdraw winnings. There is a 7-day window for players to claim the bonus and meet the wagering requirements. Players are encouraged to contact customer support at 21 Dukes Casino for any questions pertaining to this first deposit bonus. 21 Dukes Casino is home to an entertaining range of slots, live casino games, classic slot games, bingo games, table games, video poker games and races. Many games are available in a ‘try now’ mode and a 'real money' mode. Among others, players can also enjoy an entertaining selection of live casino games such as Live Blackjack VIP, Live Roulette, and Live Baccarat. This online casino proudly sports the Online Casino Reports (OCR) seal of approval. It is a responsible gaming operator with 18+ compliance, Gamblers Anonymous adherence, and GAMCARE affiliation. 21 Dukes Casino is licensed and regulated by the Government of Curaçao to offer real money gambling games to players.